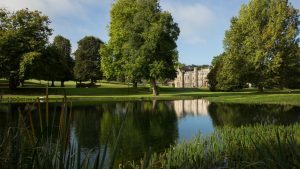 Welcome to Wycombe Abbey, a venue set in 170 acres of magnificent grounds and a conservation-listed landscape created by Capability Brown, recognised genius of English garden design. Whether you are planning a wedding, hosting a special event, filming a production or commissioning a photography shoot, we provide a unique site. We are extremely well located, just a 30-minute journey from Oxford, London and Heathrow airport.